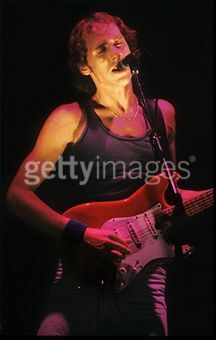 The radio concert of Dire Straits live at the Schouwburg in Rotterdam, October 19, 1978 was one of the earliest Dire Straits live bootlegs, and for this reason has been known for long among fans. 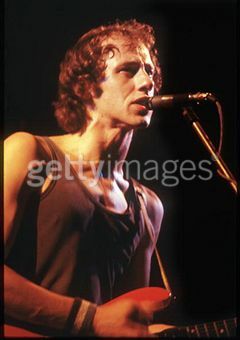 However, I have never seen pictures of this concert (at least none with realizing that they were from this gig). 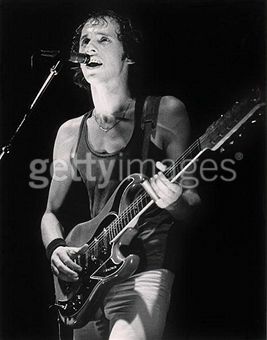 Yesterday when browsing Dire Straits pictures at Getty Images I found some which were specified to be from just this famous gig. For copyright reasons I do not dare to show them here in full size, but you can click on them to open enlarged in a new tab at Getty Images (where you can also buy them in high resolution if you want). 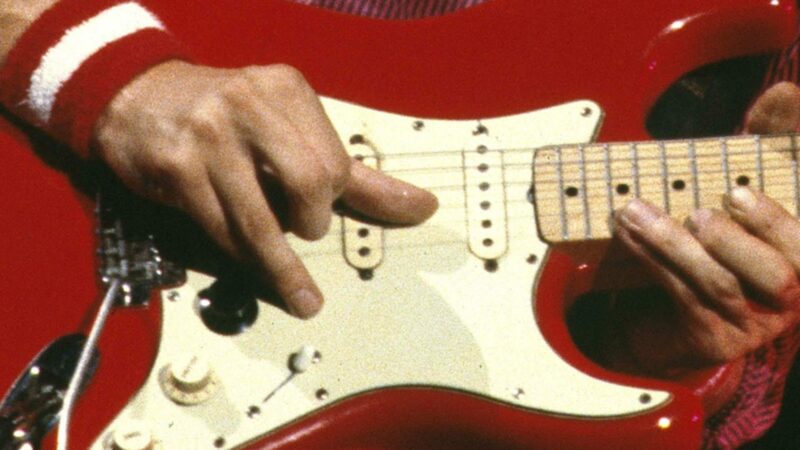 The three picture show mark playing the #68354 rosewood Stratocaster, which he played on the complete late 1978 tour it seems (for more info see this blog article) over the HD 130 212 Music man amp. David plays the Peavey Deuce amp, I am not sure, but there might be a third amp right of the Peavey (third picture), no idea what this can be, on other late 1978 pictures or videos (e.g. 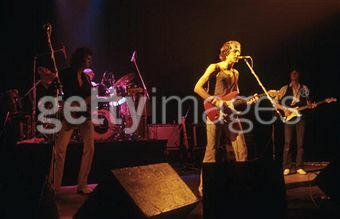 Paris October 14, 1978, Chorus TV) there seem to be just the two amps. 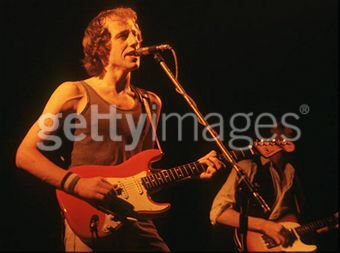 I guess these are from early 1979 (probably in Germany), I think so because of a different red Strat (with the Music Man guitar strap), different sweat bands, Mark is wearing a neck lace etc. See the article on Angel of Mercy for more information on the guitar played in the left picture. I have another pic from this gig. I’ve found it on the web, don’t remember where exactly, some years ago. About the strap, it’s funny because I thought at first that it was the same strap, put upside. I have a similar strap (although black and not brown), and at first I put it in the “normal” way (thin side in front of me), but when I saw pics of Mark with the new strap, I put it with the thin side in my back, because I thought that he did this way. I have discovered here, on your blog, that it was another strap. BTW,the strap provided with the sig Strat is the same as the brown one. I guess it was the strap model provided by Fender with the 60’s strats. The picture with the bottle neck shows him playing Angel of Mercy, besides Mark played slide on Water of Love. He played slide on some later recordings and live shows, too.